As I’m a Holy Priest and intend staying that way, I’ve been focusing on items with spirit on them and this is what I’ve found so far. My search criteria was that an item had to be cloth, rare (because I’m looking for pre raid items) and have spirit on it. Whilst I accept that we might not need spirit on every single item, whilst there are a couple of items per item slot with spirit on them, I’m focusing on them first of all. Mask of the New Snow, bought with Justice Points versus the Aurelian Mitre which is a drop from Lady Naz’jar, a boss in Throne of Tides on heroic. When we factor in the socket bonuses, the Aurelian Mitre dips ahead slightly in the Spirit stakes with a grand total of 187, five more that it’s competition. However the Mask of the New Snow is available as soon as we hit 85 without waiting for drops/getting bad luck with RNG, plus of course you get 30 more intellect from your socket bonus. Therefore my personal choice will be the Mask of the New Snow as it’s easier and more guaranteed to obtain. Now for your helm enchant, in Cataclysm there is only one caster option available. 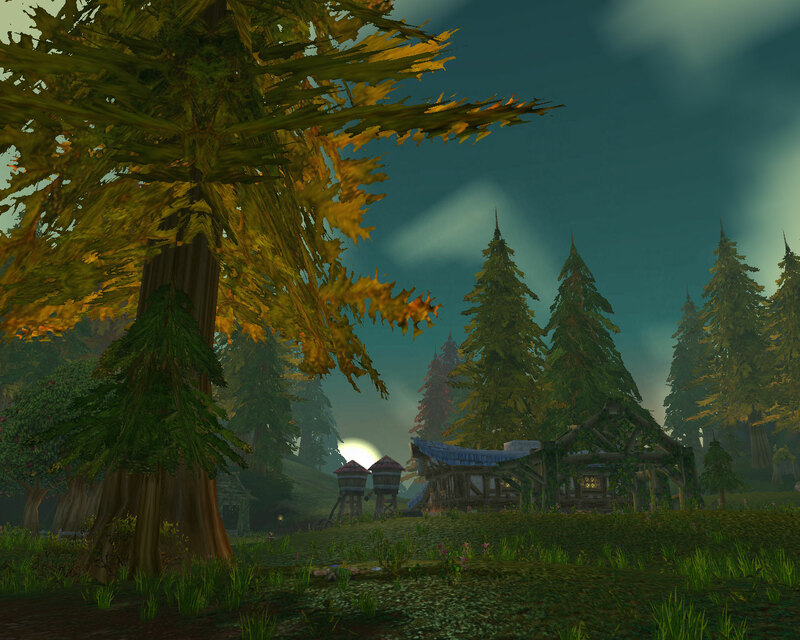 The arcanum of Hyjal is available at revered reputation from the Guardians of Hjyal. As usual, they have a tabard which can be accessed at Friendly to give reputation whilst dungeoning. The enchant gives 60 int and 30 crit strike rating which means I’ll end up with the following stats from my head slot. I’m starting to get excited already. Also whilst it’s completely irrelevant, the Mask of the New Snow has by far the better graphics and given that I’m currently snowed in, a rather appropriate name. This is Kimimela, druid number 4. She’s shown here kidnapping a Murloc which might sound like a horribly undruidic thing to do but said murloc will be far happier being looked after by a nice Undead than shivering on a nasty diseased beach. Honest. I knew even before 4.03 hit that I wanted my first run through the new quests to be on levelling characters rather than breezing through one shotting everything on my main. The problem therefore lay in what variety of alt to roll. My original plan was to transfer one of my three existing druids (two of which have been around since Vanilla) but then I decided I’d just start from scratch. Picking a race proved slightly tricky as I dislike both Tauren hands and Troll feet but since Kimi will be primarily a caster, berserking and huge feet won out. She is now lv 44 and working her way through the Eastern Plaguelands, pocket healer in tow as Mr Harpy is levelling a Holy Priest. Although his idea of healing seems to be popping down Lightwell and smiting stuff. I started by doing the Echo Isles, which left me slightly traumatised but the baby raptors and of course riding a runaway raptor were great fun. All in all, the first five levels which used to be the most painful of all 80 went by nice and fast and more importantly interestingly. From there we went to Tirisfal Glades to do a spot of Murlocnapping and then into Silverpine. Without wanting to spoil it for anyone, I would definitely recommend doing the whole of Silverpine. The storyline is gripping, it feels as if you are actually playing an important part in moving the events along and most importantly you get re-enact a scene from the Snowman. I also had a quick peek into the Ruins of Gilneas. The buildings and the scenery are fabulous, I could have spent hours wandering around taking screenshots. It definitely cemented my desire to make a Worgen once they are available even though I’m not too sure about the look of them. Basically I’m blown away, I was worried about the removal of certain quest chains but so far everything I’ve seen (apart from Arathi Highlands) has been ten times better. The use of cut scenes, the humour and sometimes sadness in the quest text, the reappearance of familiar quest givers and the fact that you don’t always have to hike five miles for each quest has made levelling a far more pleasurable experience than previously. There are however a couple of things bugging me. First of all the number of people doing these quests on their mains. It is rather hard to compete with 80s who can one shot everything, especially in pick up quests. Then of course there are the ones who repeatedly kill you over and over again. In those 44 levels, we’ve only been attacked by once by people of our own level and technically they thought they were going two v one because I was stealthed at the time. The other 10 plus times it’s been 80s and not being able to even land a spell on them is annoying. I realise why people are doing it, after all half my guild are doing the quests on their mains for achievement points and I’m a Loremaster myself so it might seem a bit hypocritical to complain. However I’m actively avoiding doing the quests on a high level character right now, it’s something I intend filling in whilst waiting for battlegrounds and levelling archaeology at some point after 85. I’ve always felt that experiencing the quests at the level they are intended for is so much better than running through them at the level cap. It’s like running the Stockades at level 80, there is no challenge, no risk and no real worthwhile reward. Also if you are going to kill my alt and then spam spit on my corpse, please have the courtesy to hang around so my main can return the favour. The other issue is one of respawn timers. There we were in the Hinterlands, me, Mr Harpy and a 80 mage. The only three Horde in the zone and we just so happened to all be at exactly the same point in the chain. Mr Harpy loots the box and we wait and we wait and we wait and we wait. Four minutes goes by, five and no box. By this time, we’re starting to second guess ourselves thinking maybe it spawns in different locations. The Mage starts to run around a bit and by the six minute mark, I’m starting to wonder if it’s bugged. Then, suddenly with a twinkling of sparkles, the box reappears. Me and the Mage rush for it both frantically clicking, luckily I won and we rode off leaving the Mage to wait another 6 to 7 minutes. Imagine doing that quest chain in a party of five…. 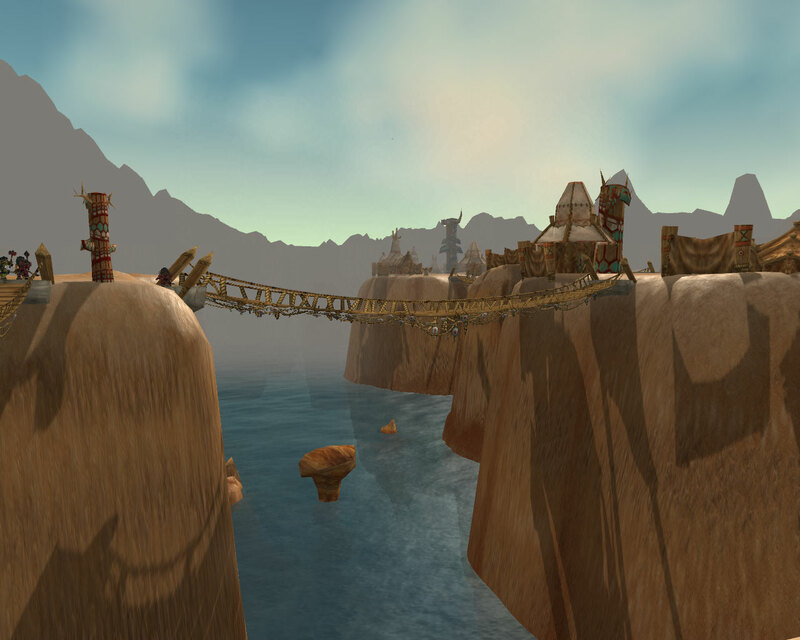 So go do Silverpine, make a Horde alt if you’re Alliance as it’s well worth it, it’s my favourite zone so far. The other thing which has to be a contender for the best thing I’ve found so far is the rollercoaster ride in Azshara. I could ride this back and forth all day. 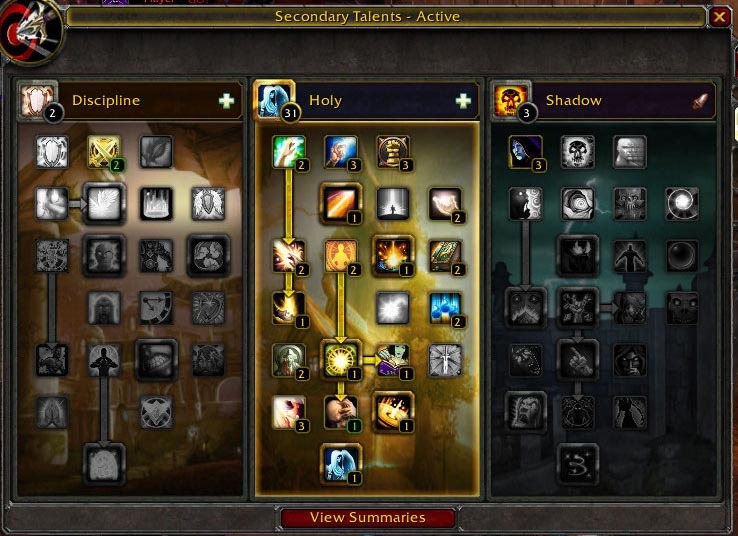 4.03 was a fairly hefty patch for Priests, especially the Holy variety. First up and perhaps most importantly there were the changes to our Chakra states. Chakra Renew was removed so we’re down to three, two healing and one dps. Entering a Chakra state has had it’s mana cost removed as well. So apart from the cost of either Prayer of Mending, Prayer of Healing or Heal, we don’t expend any mana powering up. Chakra PoH (or Chakra: Sanctuary as it is now known) not only got a 5 percent buff and now increases the amount Renew heals for but also can be triggered by Prayer of Mending which makes entering it on the move so much easier. Just to clarify, it’s the cast of Prayer of Mending that enters you into the Chakra, you don’t have to wait for the spell to proc. 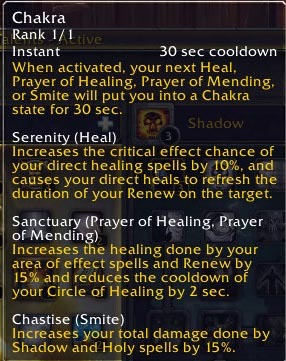 So if you had a macro for entering the old Renew Chakra you might want to change it to to work with Prayer of Mending so you can enter it on the move. On the downside however it seems as if each Prayer of Healing cast now only adds 2/4 seconds per cast rather than per person it hits if you are specced into State of Mind. So instead of potentially getting 10/20 seconds per PoH in a raid environment, it’s only 2/4 which is fairly hefty loss. Chakra Heal got altered slightly as well. Now you can use any of the three “direct” heals to refresh your renew. That’s flash heal, greater heal and heal. Personally I like this a lot. In most situations at the moment (I fully accept that game is likely to change at 85), casting heal is too slow and just doesn’t provide enough bang for your buck (as Mr Harpy’s Canadian Uncles would say). However I like to keep renews rolling, especially in PvP. Now I have better options for keeping them up. 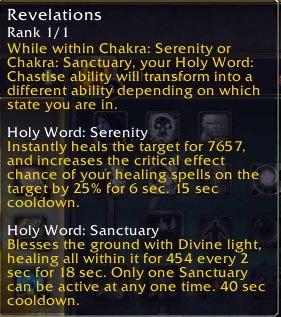 The 25 percent crit bonus after using Holy Word: Serenity also now applies to any heal you cast in that period rather than just providing a bonus to Heal. However Blizzard still haven’t fixed the chastise/holy words bug, so you still need to use a work around like the one I talked about here. I am quite literally in two states of mind about this talent. This time around I went for only spending one talent point in it and that’s fine for Heal Chakra, now that flash heal and greater heal both refresh the renew aspect. I just cast one heal every 30 seconds and use the other two to keep the hot ticking. My issue comes from PoH Chakra and it’s upkeep. With the one talent point I have invested, if I’m in a situation which doesn’t require the casting of PoH and I cast prayer of mending every single time it’s off cooldown, I extend my Chakra state by 8 seconds in PvP gear and 6 seconds in PvE gear. This is relying on being bang on with my prayer of mendings. Miss a second and the whole thing starts to unravel. We gained a new talent called Rapid Renewal which is a one point talent that sits on tier 4 of our tree. As the name implies, this reduces the global cooldown of Renew by .5 seconds making it a flat 1 second global if you are spamming out Renews on multiple people. This patch brought quite a few changes to our arsenal. Prayer of Healing and Binding Heal had their cost reduced quite substantially in the case of the former and very slightly in that of the latter. All our single target direct heals had the amount they heal for increased (heal, flash heal, greater) and Binding Heal now heals for roughly double. The names of both our “Revelations” spells have also changed so if you use a /cancelaura macro in combination with State of Mind, you will need to revisit it. If you happen to be in say Chakra: Sanctuary but the Chakra cooldown is up and you need to swap to tank healing, you can put down a sanctuary, cancel the Chakra state and immediately enter Chakra Heal. The sanctuary will continue ticking and as soon as your first Heal is cast, Holy Word: Serenity is available to you. If you happened to be doing this in PvP, you could sneak a Chastise in the middle of that without throwing the cooldown of the Holy Word which corresponds to the Chakra you wish to enter. TLDR: each of the Holy Words has a separate cooldown and leaving one Chakra state whilst it’s word is on cooldown still lets you either use Chastise straight away or enter the other Chakra state and use it’s Holy Word. The cooldown of Holy Word: Serenity was reduced slightly and that of Holy Word: Sanctuary increased to 40 seconds, 28 if you are specced for Tome of Light. Holy Word: Sanctuary was also changed to fall into line with other similar spells (like Holy Radiance, Efflorescence etc). If by some miracle you manage to get more than 6 people to stand in it at once, it now diminishes. Somehow I doubt very much I’ll notice the diminished healing since everyone seems to run straight out of it the second I put it down. This is the build I ended up picking but I still have a few doubts about a couple of talent points. First up Desperate Prayer, mine heals me (in PvP gear) for roughly 6761 and procs our mastery. It costs no mana but has a 2 min cooldown and obviously can only be cast on myself. Compare that with Holy Word: Serenity, which heals for a slightly higher amount, is also instant cast, leaves a buff on the target to give 25 percent crit for the next six seconds and only costs 309 mana plus has a 10.5 second cooldown. Sure you have to jump through a few hoops to get a Heal Chakra up before you can use Serenity but in most situations it makes Desperate Prayer look bad. I don’t have Improved Death, a.k.a Spirit of Redemption for a couple of reasons. First up there are the various bugs that have been associated with it, being permanently stunned for the duration of a battleground and not receiving achievements if you happen to be an Angel when a boss dies. Also historically, I tend be one of the last to die on wipe fights, I take staying alive really rather seriously and so if that trend continues, I don’t gain much from it. However I’m semi tempted to pick this up and perhaps add a /cancelaura Spirit of Redemption line to my Chakra macro to make removing the debuff easier if someone is trying to combat res me or my angelic form is being spat on in PvP. Surge of Light, I ignored this because when I tried it between Patch 4 and 4.03 I found that I just wasn’t cast enough smites or heals to make it worthwhile. Plus when I was using heal or smite, most of the time the extra burst of the free flash just wasn’t called for. However at 85 should either Archangel/ Evangelism truly be required for Holy (which personally I doubt) or we are in situation which calls for using Chakra Serenity, I will probably pick up the points. All in all though Patch 4.03 was rather successful for Holy Priests. We now clearly have an AoE healing state, a grinding or solo state and a Tank Healing state. In PvP things are a little more murkier but given that you can switch Chakras fairly easily every 30 seconds and that dropping a Chakra state even straight after using that state’s Holy Word gives you access to Chastise makes me faintly hopefully that I won’t have to PvP as Disc for another expansion. Edit: Changed the macros because I’ve run through so many variations and had managed to copy the wrong ones. Thanks Zel for pointing it out. 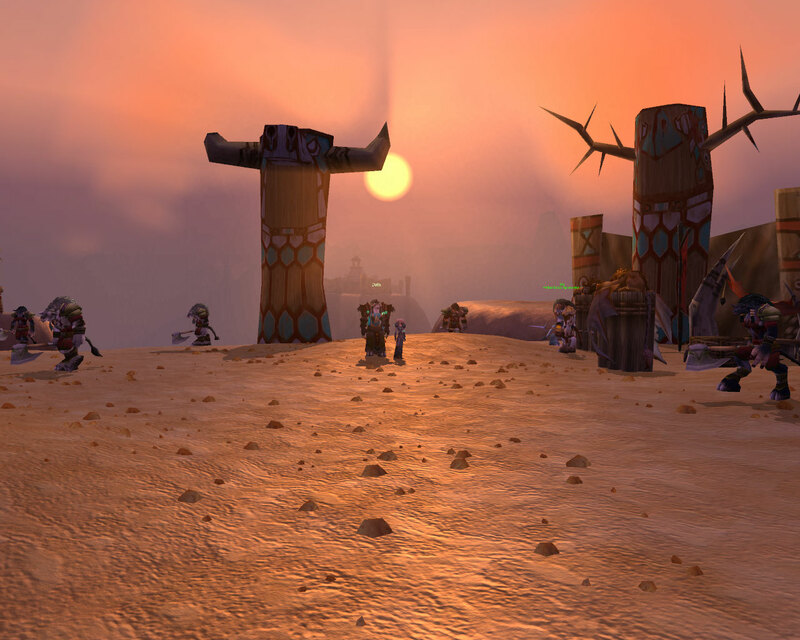 We logged in the Thousand Needles, watching the sun paint the sky pink. Such a peaceful end to long hard day but we awoke to a world turned upside down. Proper post coming once the WoW factor has calmed down a bit. I’m torn between looking forward to a new beginning and mourning the end of a world I’d come to know and love so well. On the negative side, no more Holy Word: Aspire. I will miss you. You were one of the best things about the whole chakra system. On the plus side though, finally my Hunter can tame this little fellow. I’ve wanted one of these as a pet ever since I first started playing. My warlock used to use enslave demon on them as I quested through the Plaguelands but now one of the first things I’ll do when the servers come up, is go and grab one. In the minus camp, the changes of the zones I’ve come to know so well. 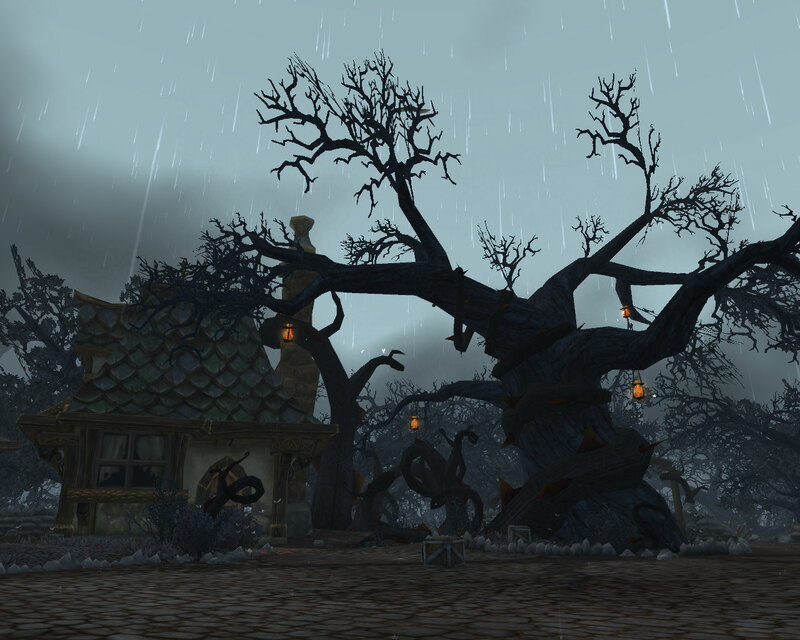 No more Southshore, no more desolate Desolace and a devastated Auberdine. 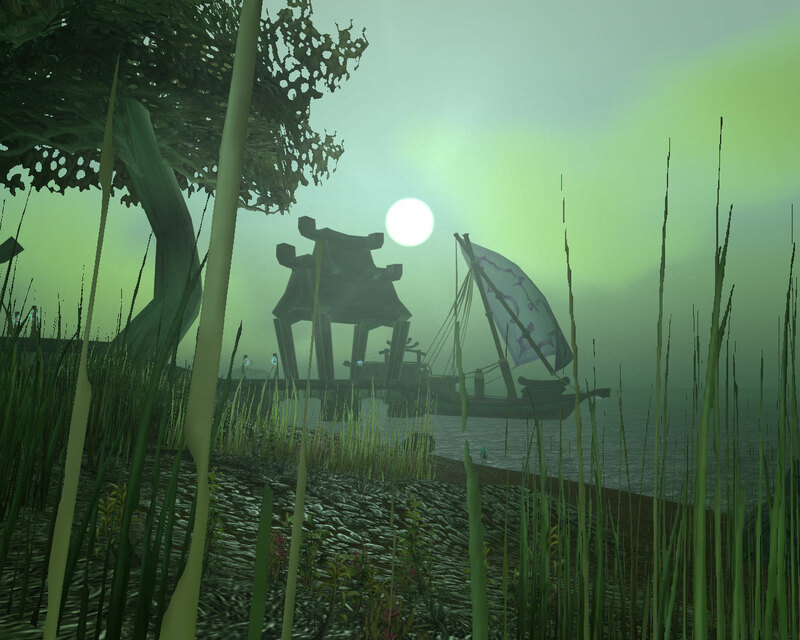 The other side of the coin of course is so many new places to explore and new quests to find. 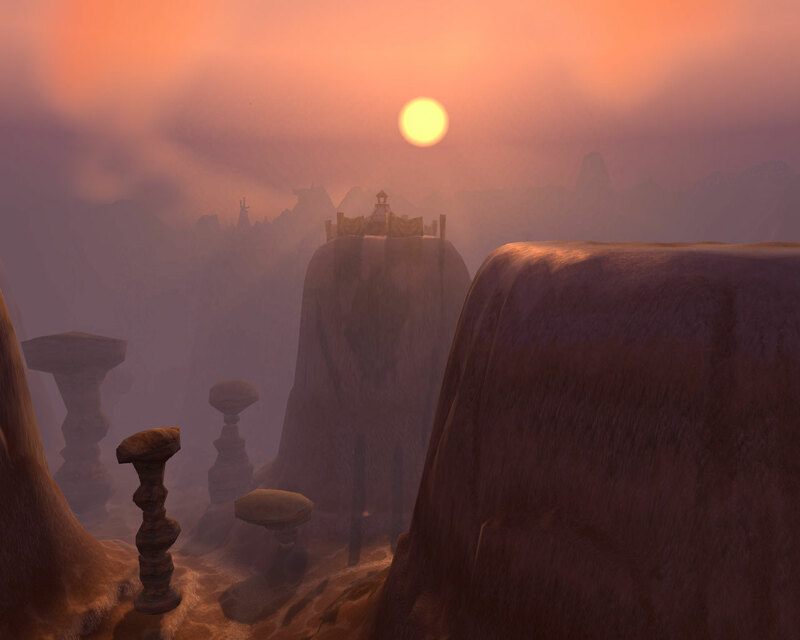 Perhaps the biggest draw of WoW originally was the sheer scope of the world and if the Shattering can recreate even a 10th of that sense of wonder, well then it’s been well worth every penny. Goodbye Feathermoon Stronghold, can’t say I’ll miss that boat ride. Taking a scenic cruise around the islands is fine once or twice, but every single time…. 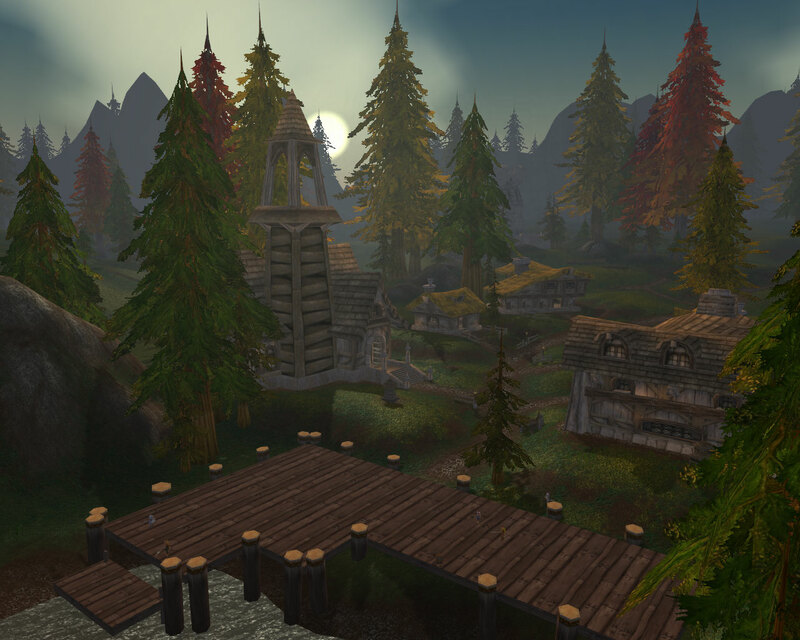 Farewell Hillsbrad Fields, I hope Stanley is somewhere safe from undead poisons now. This was far harder than my favourite class. I kept thinking I’d settled on the answer only for my mind to change. In this fashion I tried Nightelves (the race I’ve primarily played), Trolls (I like the Lore/culture) and Gnomes (just plain awesome). Finally though based on a variety of criteria including architecture, NPCs, the look of their tabard and quest chains, I’ve picked the Forsaken. They aren’t the race I play the most, in fact I’ve only got one high level Undead, a lv 71 priest but I’ve always been drawn to them. Undercity, it’s evil elevators apart is definitely one of my favourite cities. It’s got flavour, even if it’s the flavour of the grave. From the vivid oozing waters of the sewers to the piles of bones, it’s a fascinating place, made much more interesting by it’s Undead inhabitants. I have a particular soft spot for Apothecary Keever who is clearly a very bad man, lurking in his basement turning prisoners into squirrels and exploding sheep. From the Dark Lady herself down to the most pitiful of the Forsaken, I feel that they all have stories to tell as well as some of the more tragic and compelling storylines in-game. Whether they are poisoning people’s pets, setting rats on them or just generally causing mayhem, they do it with a certain flair. Then there is their architecture, from Gothic structures with high towers and coffins in the basements to broken down buildings. Whilst I probably wouldn’t want to live in it, I find it to be strangely beautiful. I’ve always been drawn to the macabre. I love reading horror stories especially in the winter months and I returned home from Mexico with a five foot wooden skeleton (called Francisco) so perhaps the answer was right in front of me all along. Shamelessly borrowed from Ama’s blog, Specced for Drama. Day 1 – Favourite Class and Why. Whilst I’m fond of all the four healing classes, my favourite has to be the Priest. I find myself returning to the class over and over again whilst making alts. Despite already having a Bloodelf Priest, an Undead Priest and a baby Nightelf Priest, I’m looking forward to Cataclysm and making both a Gnome and Goblin to add to my set. Why are Priests my favourite class? Well we have the most sparkles which is a definite plus point but it’s our huge toolbox which keeps bringing me back. We literally have a spell for every occasion. Did you know that if you mind vision an enemy rogue or druid before they drop into stealth, mind vision won’t break and you can track them attempting to sneak up on you. Their only options are to either run away or in the case of rogues, blow vanish. They can’t even wait it out because you can simply recast it. If they continue trying to hunt you down, it’s simply a case of waiting until they are in range and dotting them. 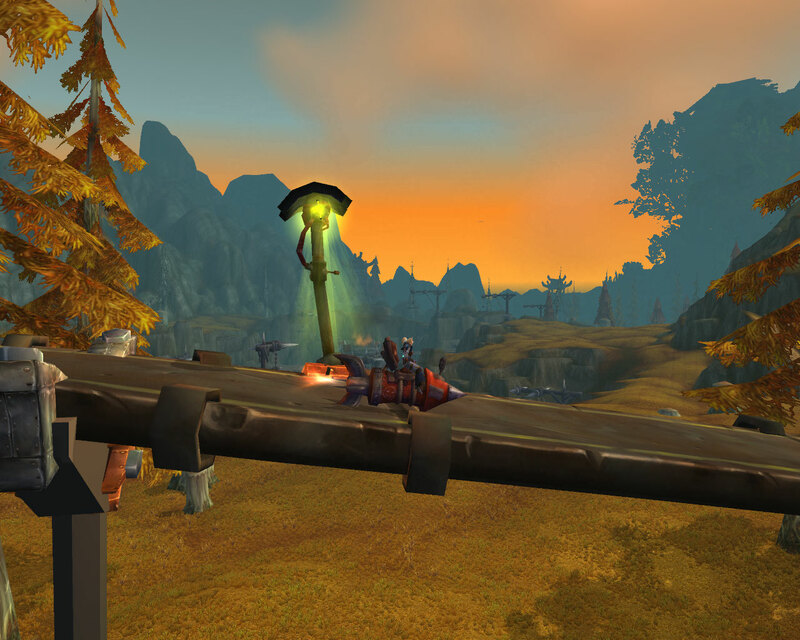 For some reason, getting the jump on a rogue has to be one of the greatest pleasures in WoW. Then there is mind control. Not the greatest CC on paper as it knocks you out of action but sometimes you get access to all sorts of interesting goodies. From overpowered NPC heals which can take your tank from low health to full instantly to haste buffs, damage absorbs and damage auras. Of course throwing people off the Lumber Mill with it is pretty sweet too. Levitate is another reason why I’m so stuck on the Priest class. Jumping off tall buildings and seeing how far you can travel never gets old. Plus back when I played Alliance it saved me so many times whilst raiding Thunder Bluff. Escaping from a hotly pursuing enemy by flipping off the mesa and slowly drifting down to safety is priceless. Also if you’re as clumsy as me, sometimes having it when you fall off tall buildings/edges of cliffs/continents etc is definitely worthwhile. Then like Red Bull and paladins, we have wings, only ours are better. Whether it’s the delicate gossamer wings of Archangel/Evangelism or the bold, bright golden ones of Guardian Spirit, we have access to the ultimate screenshot accessory. I’ve tried other classes, I even spent the Burning Crusade raiding as first a Paladin and then a Shaman but my heart has always belonged to my Priest. As I’m hopelessly nosy, I’d love to read about all your favourite classes and what makes them so special to you.